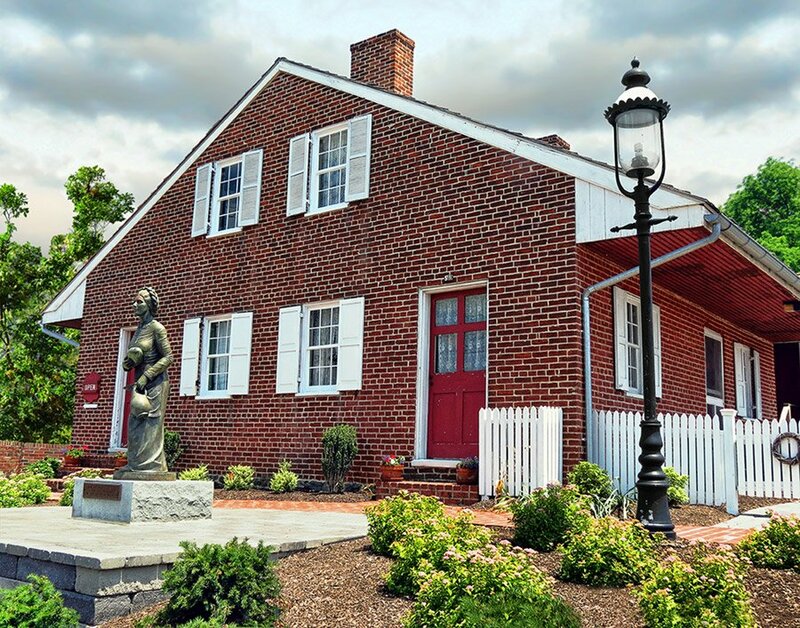 Authentically furnished from cellar to attic, the Jennie Wade House is a shrine to Jennie and to life during the American Civil War. Just 20 years old at the time of the Battle, Jennie was kneading dough in the kitchen when a rifle bullet pierced two doors and claimed her life. The Jennie Wade House features guides in period attire who are well-versed in the history of the home. For years, they’ve enthralled visitors with passionate retellings of the tragedy that befell young Jennie and her family. Artifacts from that fatal day in 1863 are on display as well, including the artillery shell that punctured the roof of the house and a floorboard with Jennie’s blood still on it. You can help to keep the memory of Jennie alive: unique Jennie Wade souvenirs and collectibles are available in the Jennie Wade Gift Shop next door. Check out the Jennie Wade Gift Shop here! Tours begin every 30 minutes in peak season and last approximately 30 minutes. In the Spring and Fall tours will run every 45 minutes. Parking including buses adjacent to museum. Groups Of 15 Or More? Gettysburg’s Premier Receptive Tour Operator!